Summer is coming to an end and pumpkin spice everything is available at your local coffeeshop and grocery store! There is a hint of crispness in the air, and you are probably starting to think about decorating for fall. Here are some fun and creative ideas to help you update your porch for the season! 1. Make Pumpkin Planters. Why turn on the porch lights this fall, when you can have shimmering pumpkins light the way to the door? Follow this step-by-step tutorial from Good Housekeeping to get this gleaming pumpkin look! 2. Use Colorful Mums. Do you love color? Mums are the ultimate, affordable fall flowering plant. Select different colors of mums from your local nursery and plant them in a selection of wood and ceramic planter pots for a rainbow of beautiful fall color. 3. Try White. For a more sophisticated exterior, try decorating with all white pumpkins and mums. A soft white color pallet is gorgeous, as it goes with nearly all the hues of autumn. 4. Create a Hay Bale Vignette. Use bundles of straw or hay to add some texture and dimension to your fall vignette. If you do not have enough room on your porch, simply move it out into your front yard. Nothing says fall like hay bails stacked with a variety of pumpkins and mums! 5. Set Up a Seasonal Seating. Add a bench or chair to your front porch, for a great place to enjoy a gorgeous fall evening, or wait for trick-or-treaters to stop by. For even more fun, paint the chair or bench harvest gold or burnt orange for a pop of color, or simply add a cozy autumn throw blanket, for the chilly weather! 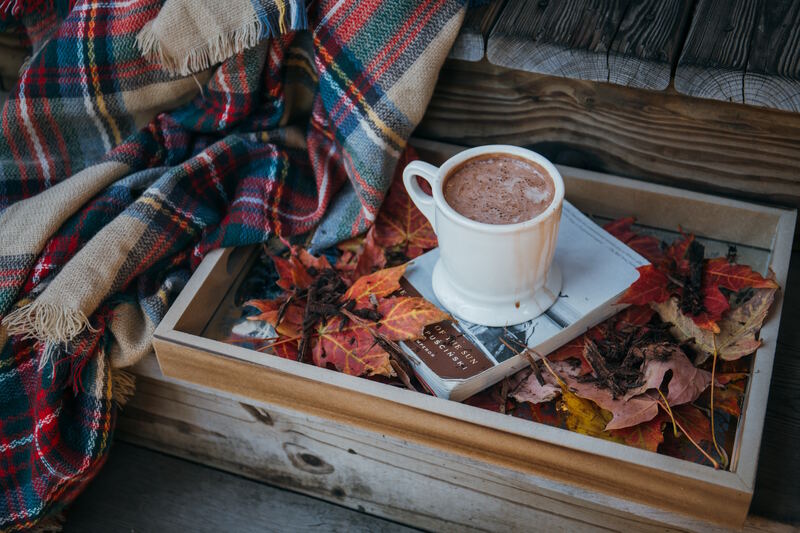 Don't forget to send us a picture of your fall porch and enjoy the season!